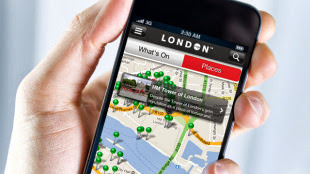 Powered by visitlondon.com - the super website that put this list together - this app shows you where to go and what to see in London. Quickly find out what's free near you and browse our must see recommendations. Available for iPhone and Android. 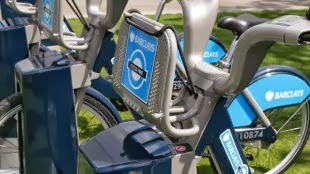 Make getting around London by bike even easier with the Barclays Bikes ("Boris bikes") mobile app, showing you bike availability and routes to your nearest docking station. Available on iPhone and Android from the Barclays Cycle Hire website. 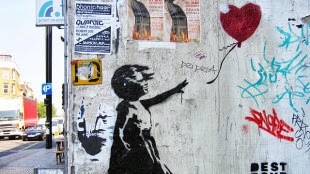 Want to find your nearest Banksy? With useful maps and guides, this app lets you explore London's famous street art with your iPhone, as well as searching by artist and date. Visit the streetartlondon blog to download. Inclusive London allows iPhone users to locate appropriate hotels, restaurants, pubs, shops, museums and more with accessibility information. Find our more on the Inclusive London website or download from the Apple app store. This amazing iPhone and Android app from the Museum of London lets you travel back in time. Hold your camera up in the present day and watch as images from the past appear on screen! Learn more on the Museum of London's website. 350 years ago, Samuel Pepys began a diary full of wry and witty observations of London life. Now you can experience London's most famous diarist day by day on your iPhone, and see how much (or little) London has changed. Find out more on the Pepys Diary app website. From Lambeth Bridge to Tower Bridge explore the cultural heart of London with the help of this free app for iPhone and Android users. Includes event and restaurant listings, and info on some of London's best-loved landmarks and attractions. Download from the Riverside London app website. Explore the social history of the infamous London district as 60 years of Soho stories are brought to life. Let this racy audio tour guide you through the colourful characters of London's most bohemian neighbourhood. Due to adult content, you must be 17 or over to download this app for iPhone. Visit www.facebook.com/SohoStories for more information. 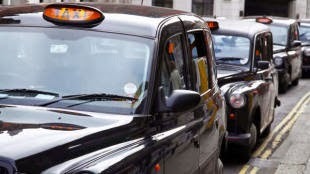 This London taxi app lets you order a black cab to your current destination and tells you how long you will have to wait. That means no more jostling for prime pavement position when trying to hail a cab! This smart and incredibly handy app is available on both Android and iPhone. Find out more on the Hailo website. Home of last year 2012 Olympic and Paralympic Games, Stratford is one of London's most exciting new destinations. Discover shops, bars, restaurants and events, and send a digital postcard! See more on the Visit Stratford London app website.